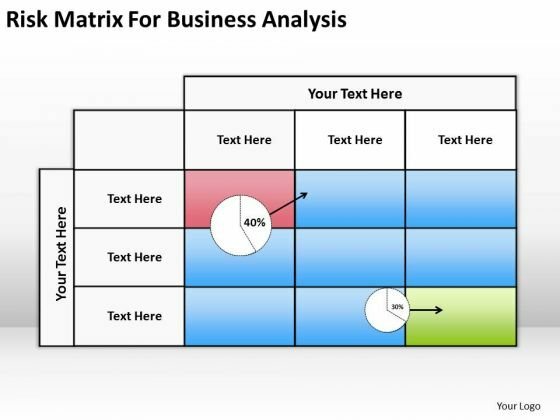 Touch base with our risk matrix for business analysis ppt plan software download PowerPoint Slides. Review your growth with your audience. Take a deep dive with our risk matrix for business analysis ppt plan software download PowerPoint Slides. Get into the nitty-gritty of it all. Get them to applaud you with our Risk Matrix For Business Analysis Ppt Plan Software Download PowerPoint Slides. You will come out on top. Open up doors that lead to success. 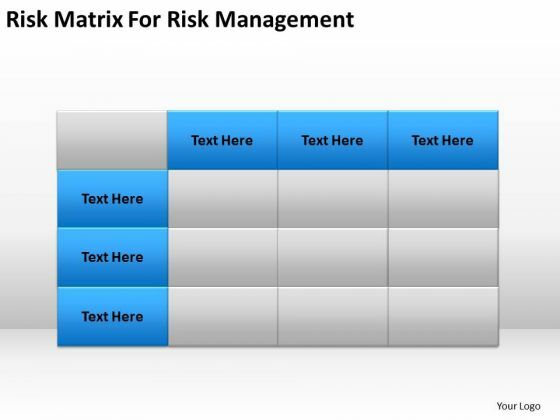 Our risk matrix for management ppt business plans made easy PowerPoint templates provide the handles. Oppurtunity will come knocking at your door. Welcome it with our Boxes Powerpoint templates. 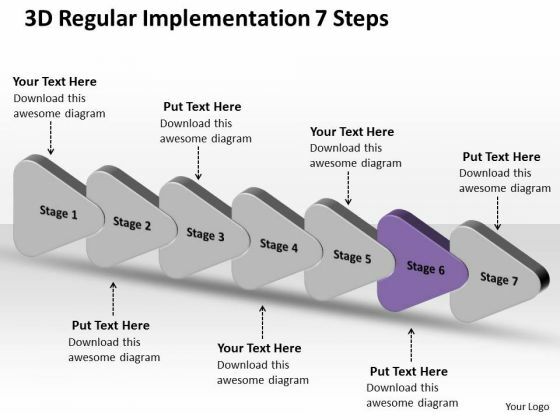 Our Process and Flows Powerpoint templates abhor doodling. They never let the interest flag. Our Risk Matrix For Management Ppt Business Plans Made Easy PowerPoint Templates believe in brevity. Do a lot with least possible effort. 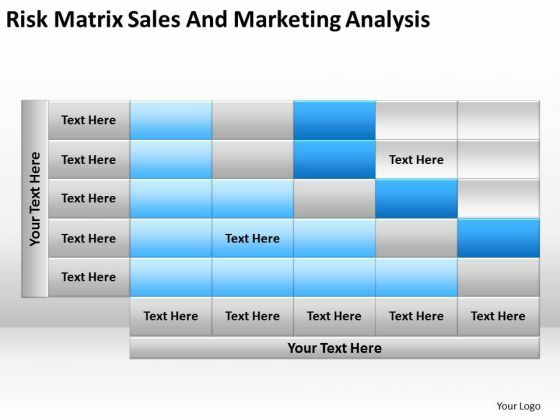 Plan your storyboard with our risk matrix sales and marketing analysis ppt vending machine business plan PowerPoint templates. Give an outline to the solutions you have. Create dreams with our Risk Matrix Sales And Marketing Analysis Ppt Vending Machine Business Plan PowerPoint Templates. Give your audience a dose of fascination. Our risk matrix for management ppt model business plan PowerPoint templates make good beasts of burden. Place all your demands on them. 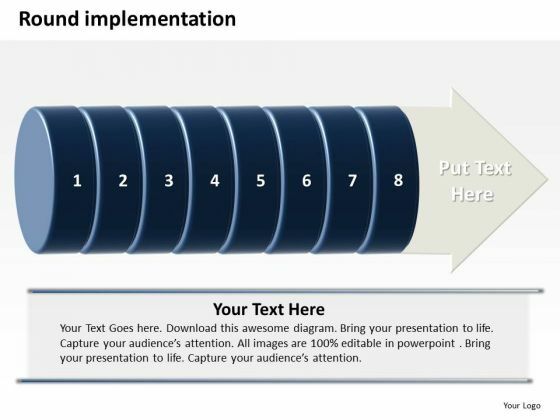 Deliver the right dose with our Boxes Powerpoint templates. Your ideas will get the correct illumination. Your abilities have been lying dormant. 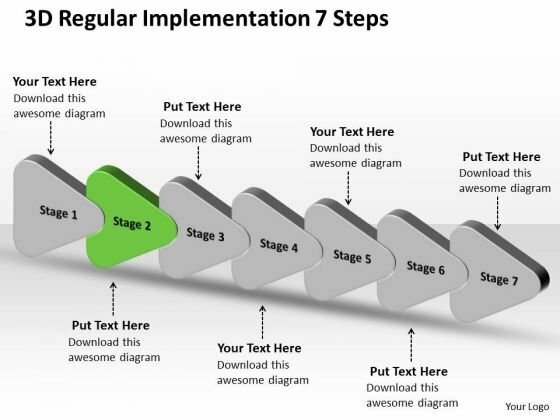 Awaken them with our Process and Flows Powerpoint templates. 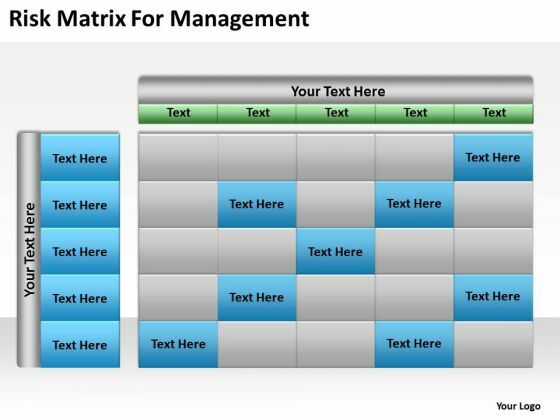 Be the early bird with our Risk Matrix For Management Ppt Model Business Plan PowerPoint Templates. Be the first on the block with your thoughts.